Common uses for the 10 cubic yard container include cleaning out the attic or garage. A small size that will fit the majority of places. Dispose of small amounts of construction and/or household debris. Great for small remodels and cleanup projects. Will accommodate light demolition materials. with a lower height it makes disposal easy. Good for roofing materials or remodel projects. Allows you to easily dispose of household junk and lighter construction material. If you are demoing your home it will work well. Ideal for full home renovations or large demo jobs. Will accommodate construction and demo debris. 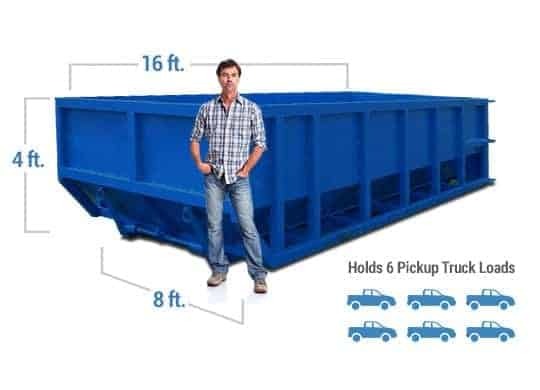 With six foot side walls dispose of large amounts of trash in one place. We offer 10 to 30 cubic yard containers in the Greater Detroit area. We deliver Monday through Friday for your convenience. When working on a long-term project be sure to give us a call. We provide continual waste disposal services for construction projects completed by residential home owners and large contractors. When you book with us you receive a flat rate which includes delivery, pickup, and all applicable taxes. No hidden fees here! The majority of the time we are able to schedule deliveries for the next business day, especially if we find out prior to noon. Need additional time with the container? No problem. 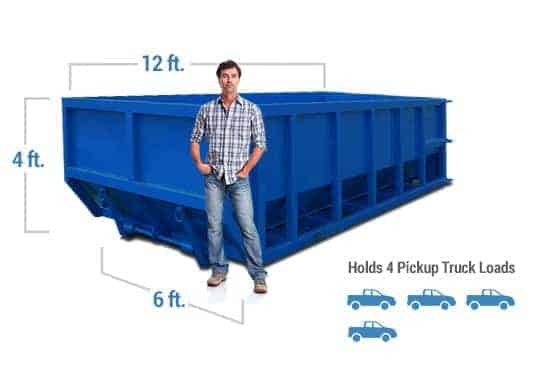 Keep the container past the original pick up date for a minimal, flat daily rate. Ready to clean out the garage and/or attic? Booked a large contract for a fix and flip? When a job stares you down you will find a convenient disposal solution with our dumpster rental service in Detroit, MI. Our team provides each customer with recommendations and assists with the rental process. In just a few short minutes you can be on your way. When on the phone we will discuss placement instructions with you ahead of time to ensure your roll off is directed to the exact right spot. Once finished with the clean up we will send a driver back out to remove all of the junk. Call 313-403-4030 today for an instant quote and book your order. The rate includes a standard rental period, though you do have an option to keep the container past its initial period. Just give us a call one to two days prior to the scheduled pickup and we will be sure to extend it. 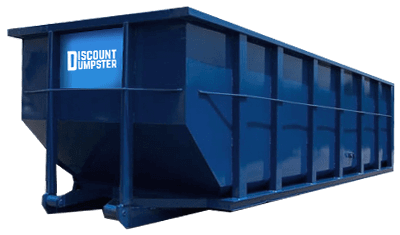 Our Detroit-area dumpster rental service applies a flat, daily rate for extensions past the initial period. If you have any questions or concerns feel free to give us a call and we will be happy to help! May I keep the dumpster in the street instead of the driveway? Yes, you may keep a dumpster rental on the street but the City of Detroit Planning Department may cause you to get a permit. The permitting process ensures that your roll off dumpster won’t disrupt traffic while on site, or get in the way of any walk ways. After permission is granted to keep the dumpster on the street call our team to schedule the delivery. Detroit Right-of-way permits are very standard and we are able to help with the process when needed. What is not able to placed in a roll off dumpster? Be sure to review the guidelines for your rental before disposing of certain material. Common items that are prohibited include: tires, televisions, refrigerators, hazardous materials, and flammable liquids. Know before you throw. Call our team to discuss what you plan to dispose of so there are no additional fees to be incurred. Feel free to call your local landfill with questions as well.